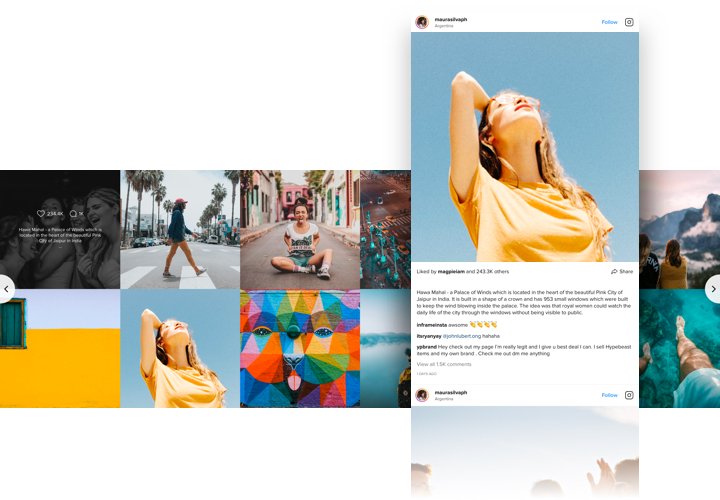 InstaShow is a supreme Instagram plugin, which makes it possible to shape beautiful portfolios of Instagram photos and video clips. 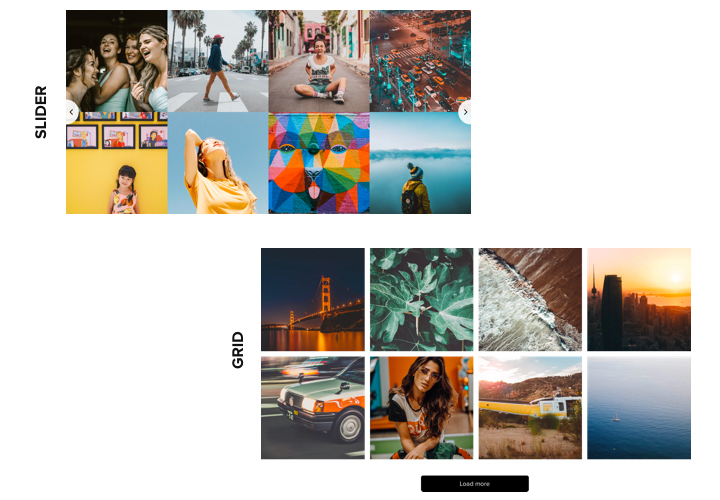 It offers a rich choice of settings for your personal feed: all types of sources, over 50 adaptive features and 10 color schemes, and it’s totally adaptive for any screen sizes. Use a completely responsive and efficient plugin, to captivate your website visitors at the first glance. 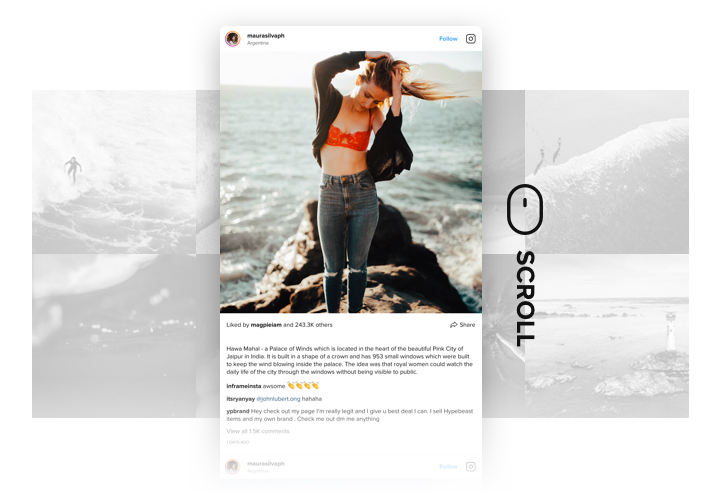 Embed images from Instagram – advance your products or service in the most popular way and double up the sales on your website! 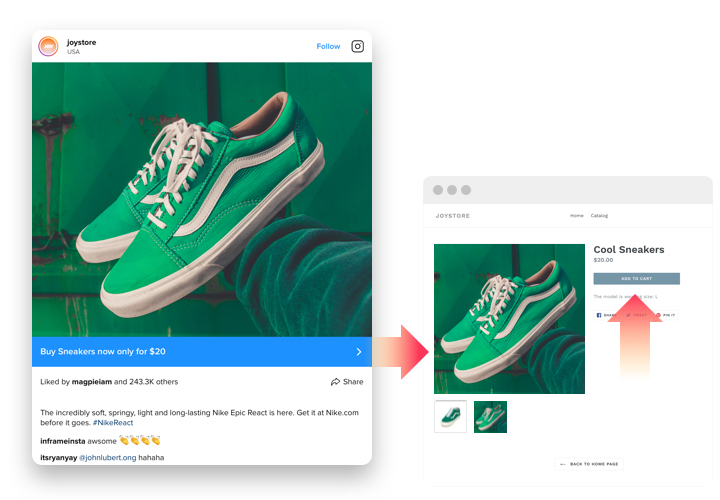 Add additional call to action links to get subscriptions and grow the number of fans of your Instagram account. 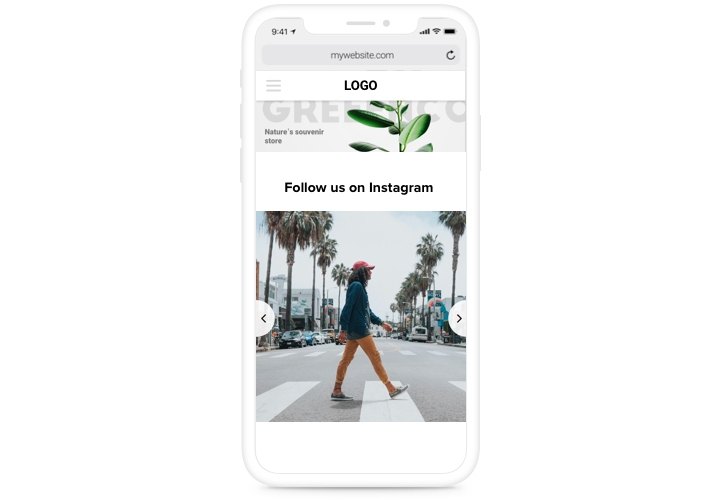 Populate your website with Instagram images using the Elfsight plugin – attract even more viewers and make sure that they won’t leave your website fast! See our brief tutorial on adding and generating the plugin. Setup takes about 3 minutes on the average, and moreover, there’s no need to have experience in web programming. Use our free code generator to get a widget with the right template and options. After you’ve configured the widget, get the code for your Instagram widget in the popup window in your Elfsight Apps account. Go to Pages editor and create a new page, or open one that already exists. Go to code editing mode by clicking the “HTML” icon. 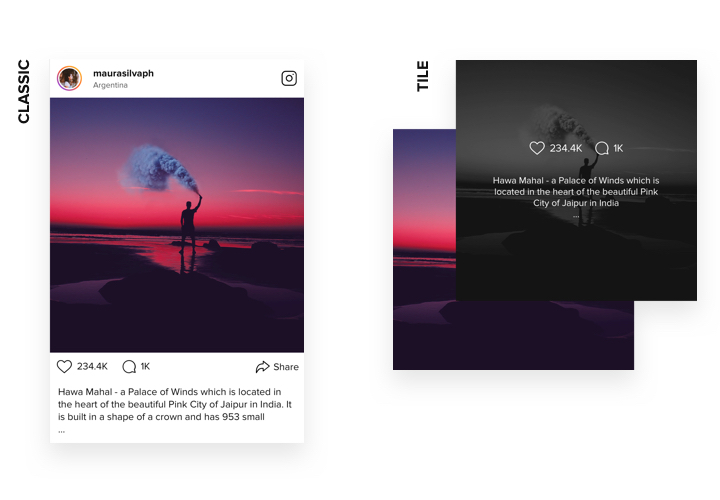 Paste your Instagram widget’s code to the required place. Press “Done” and the widget will appear on the page. Enter your site, to view your work. 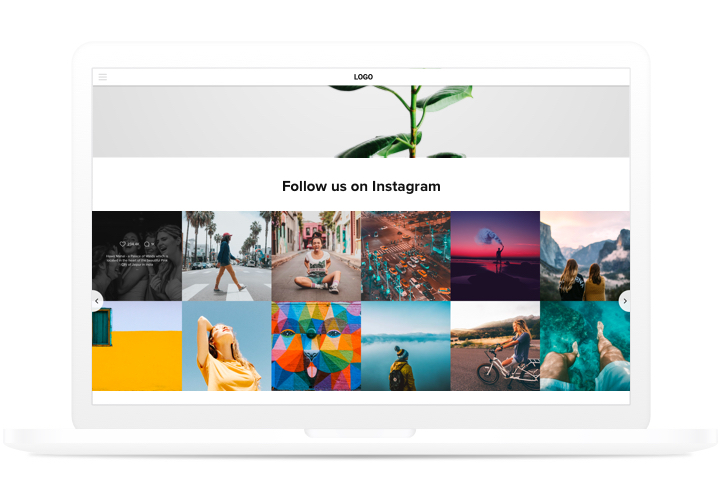 Experiencing issues with displaying the plugin or customizing your Instagram feed? Don’t hesitate to address our support team. Test Big Cartel Instagram feed right now!